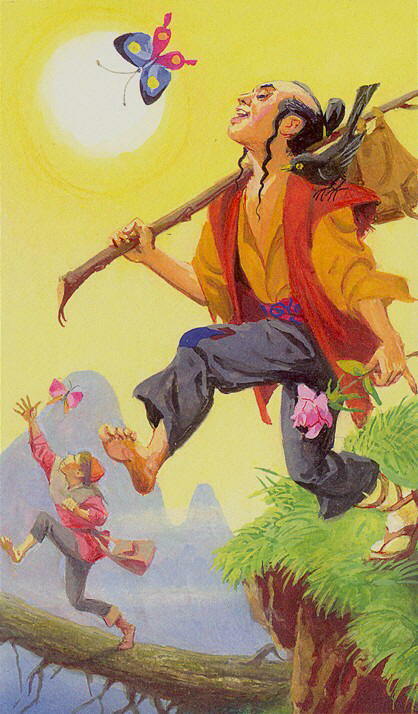 Tarot of the Journey To The Orient is based on the Travels of Marco Polo who was an Italian explorer that returned home to his native Venice after a 24 year journey through Asia. The major arcana have a dual scene on each card: one representing the East and one the West. Those cards lacking the dual scene instead show a person with their counterpart from each culture. The minor arcana are photo realistic and more straightforward scenes of Eastern and Western people and situations.